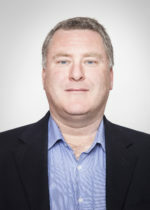 Charles Fallon has been working as a supply chain consultant since 1998. Charles helps clients make capital investment decisions in supply chain infrastructure and improve the cost effectiveness of existing supply chains. He has worked with retailers, wholesalers and manufacturers across a broad spectrum of industries from food, pharma and apparel to spare parts and building materials. He has extensive experience in supply chain strategy, technology and facility design. Charles holds a Bachelor’s degree in Mining Engineering from McGill University in Montreal.